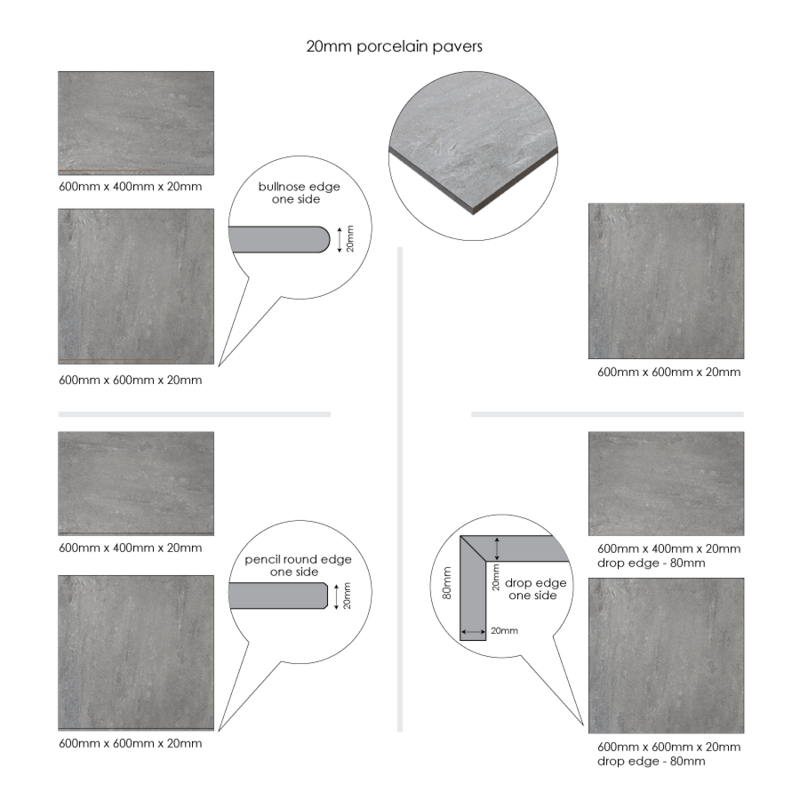 Grey Quartz Porcelain Pavers are an almost identical copy of the natural split face quartz stone. With grey character, slightl copper tones and numerous different prints, these pavers look extremely natural. They beautifully complement any decking in the surrounding area. These quartz-look pavers have high slip resistance, which makes them the perfect choice for around the pool. Grey Quartz Porcelain pavers are made from highly compressed clay with no weak points or fracture points. They have high break load and they keep less heat than natural stone. These are maintenance free porcelain pavers. You need never worry about permanent stains, they do not require a sealing coat and they are the best thing to use for around salt water or chlorinated pools. Grey Quartz Porcelain pavers have an incredibly practical colour – the natural cool grey quartz tones don’t show dirt. These pavers are not porous and are structurally strong, meaning they can be laid on a sand base without any glue.